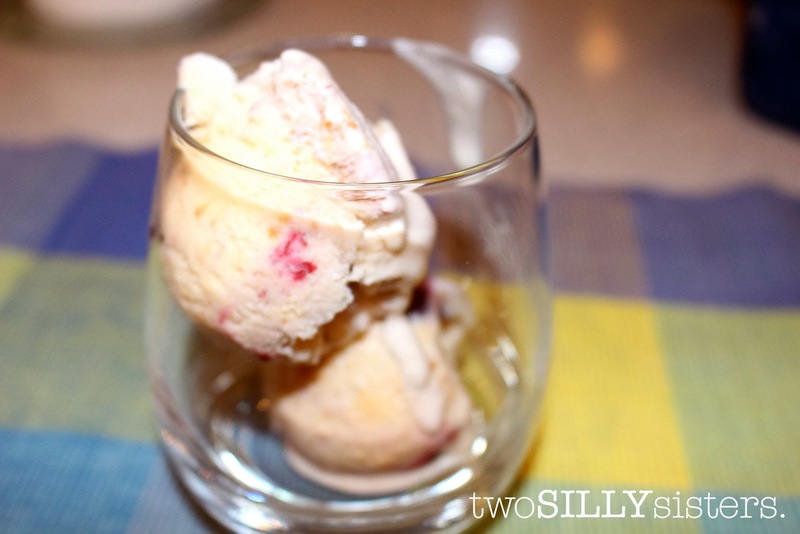 Two Silly Sisters: 1,000 Likes And A Gluten Free Ice-Cream Recipe! 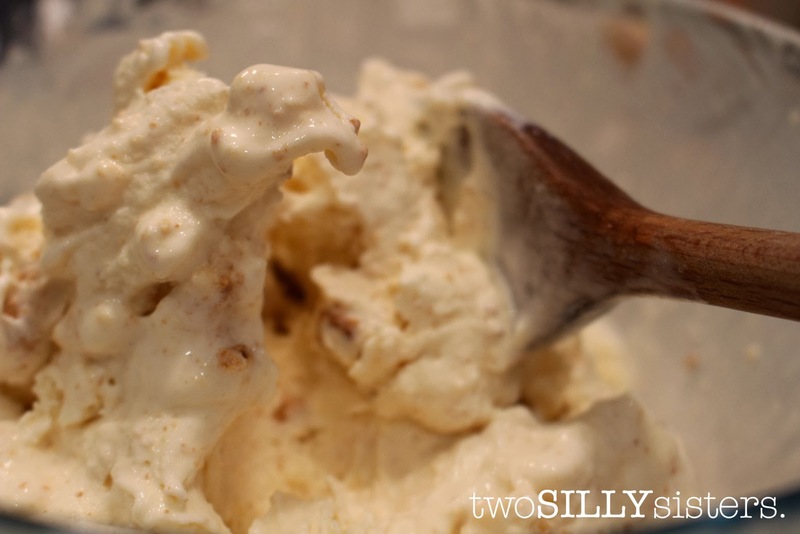 1,000 Likes And A Gluten Free Ice-Cream Recipe! Welcome back to Two Silly Sisters. We hope you have had a great start to 2014 and are ready for a fantastic year ahead! We recently celebrated over 1,000 likes on our Facebook page so we are pumped and ready to have our best year yet! To all our new likers, welcome, we hope you enjoy our page. To all our dedicated fans thank you for being a part of our gluten free world. And for those who have still not checked us out on Facebook, what are you waiting for?? Head on over now and like our page – you could be missing out on lots of fantastic gluten free tips and tricks. On that note, we just wanted to take a bit of time out to say thank you – thank you to each and every one of you who reads our posts and who follows Two Silly Sisters Gluten Free Foodies. Without you we wouldn’t have the fantastic gluten free community that we have built today. We have big plans for 2014 and cannot wait to share them all with you! And remember if you have any questions about gluten free living, or any special requests, please do not hesitate to contact us. That’s what we’re here for and that’s what we love doing. So now that all that soppy stuff is over let’s get cracking into 2014! It’s been a great start to the year already and we’ve been having a very typical hot Australian summer. I love the hot weather! We’ve had plenty of gorgeous sunny days, perfect for the beach or chilling out with friends with an Aussie BBQ. But when entertaining in the heat, we know that finding motivation for making decent gluten free dessert can be tough. That’s where this Cheats Ice-Cream comes into play. 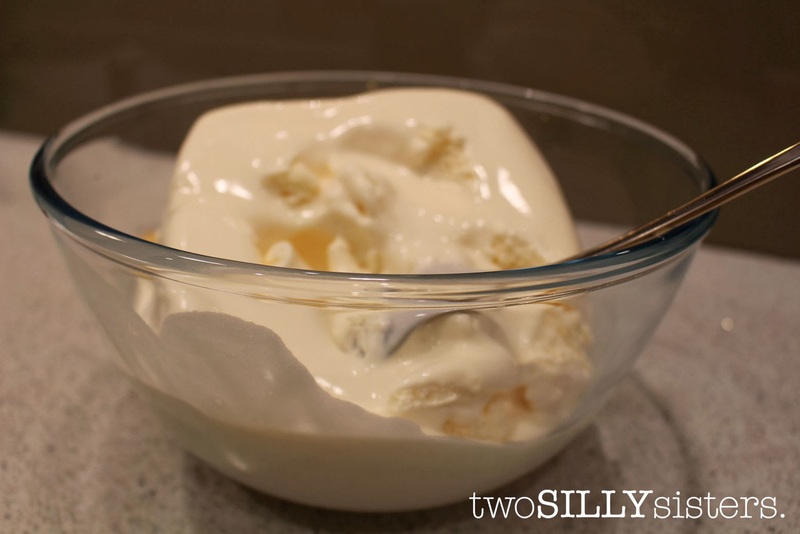 You are going to be amazed at how easy this recipe is and just how delicious it is too! 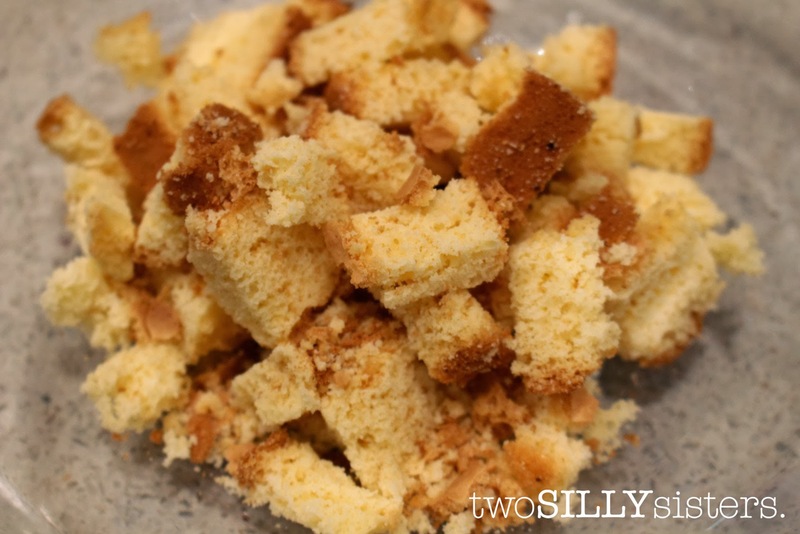 And this recipe is perfect for getting rid of any leftover gluten free cake or cookies. 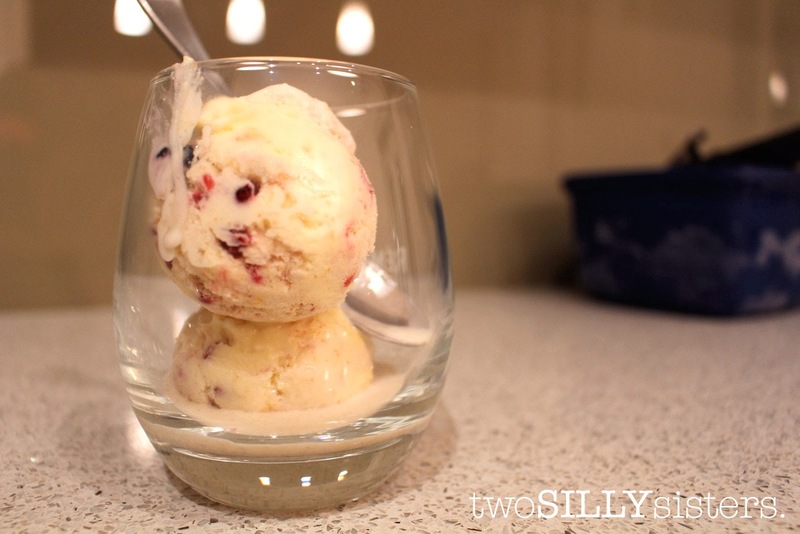 The best way to describe this ice-cream is gluten free cookies and cream with a berry swirl. We hope you enjoy it as much as we did! 1. Remove ice-cream and berries from freezer and allow to defrost for about 15-20 minutes before attempting to start assembling your ice-cream. 2. Place chopped gluten free cake into a large mixing bowl and once ice-cream is soft enough, turn contents of tub upside down into the mixing bowl. Stir cake through the ice-cream. 3. 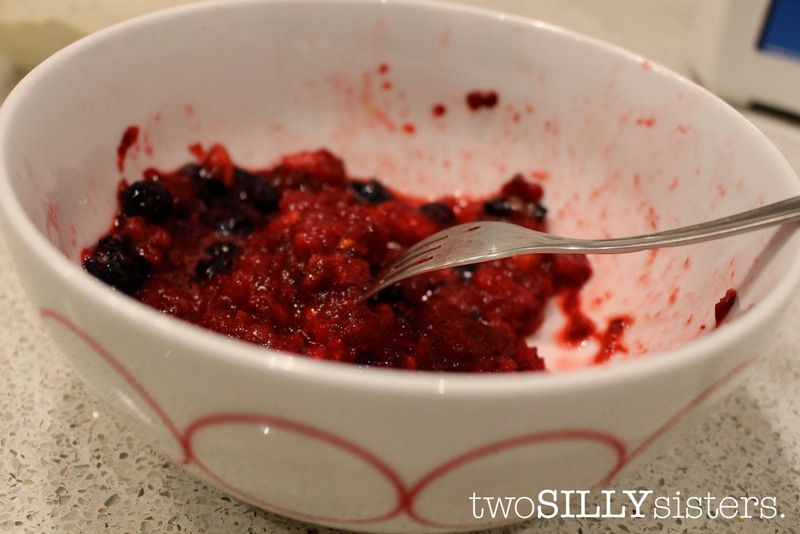 Place berries into a small bowl and use a fork to squash them into a chunky pulp. 4. 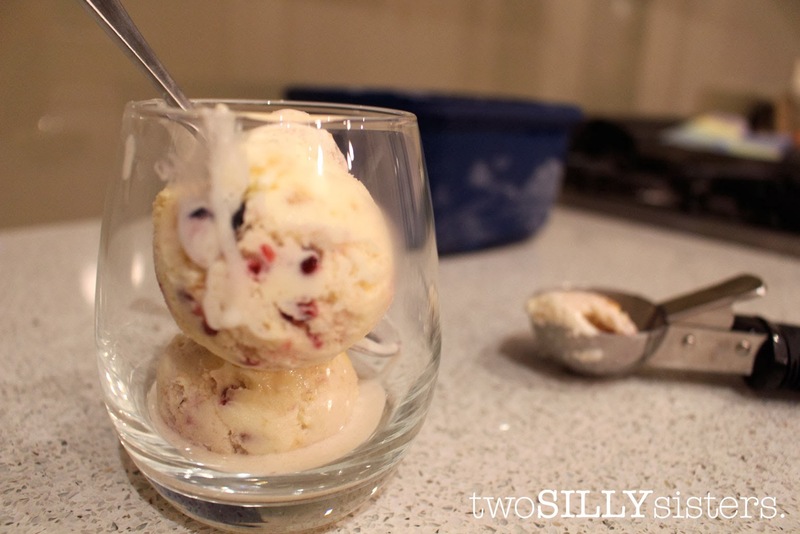 Add berries to ice-cream a few spoonfuls at a time. Stir into ice-cream creating a swirl effect. 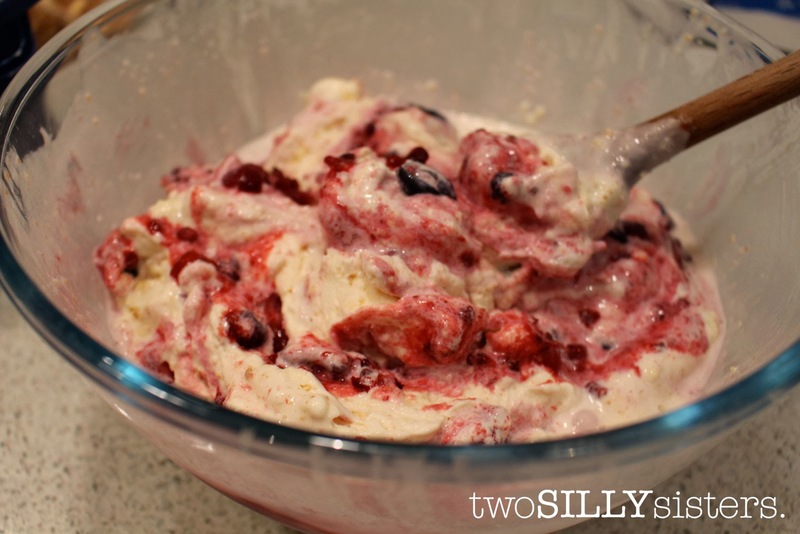 Continue adding spoonfuls of berries and stirring until all berries have been added. 5. 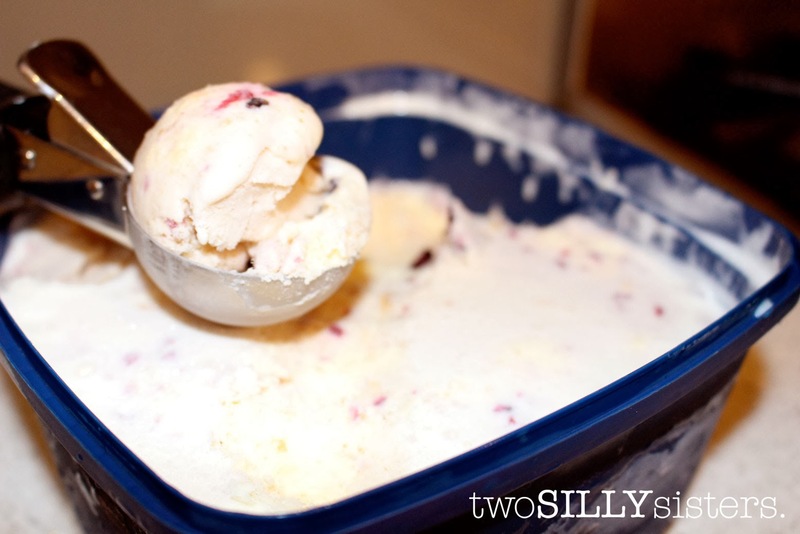 Return the ice-cream mixture to the ice-cream tub and freeze until hardened (at least a few hours). And voila super easy gluten free dessert done! * We used a gluten free sponge which had dried out. 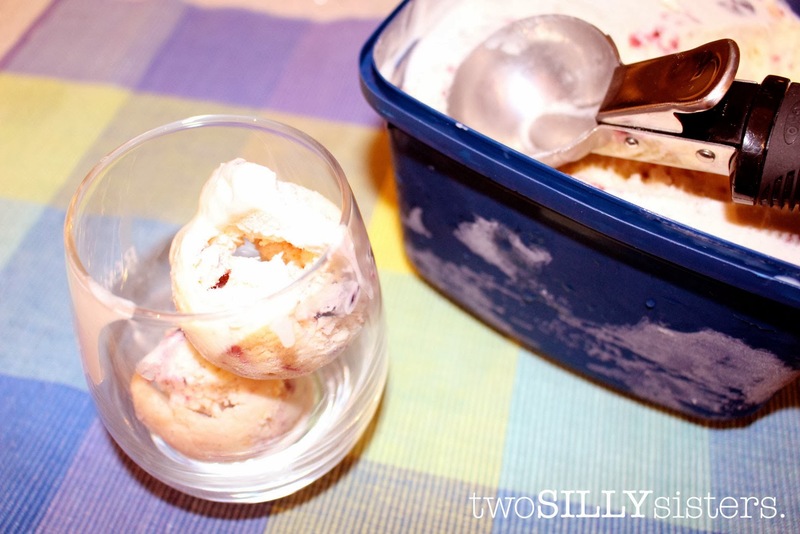 Note: This ice-cream recipe is very versatile. You can add almost any flavour you like to the mix and add more or less of any of the ingredients if you wish.